Practical, fashionable and made to measure roller blinds in Peterborough offer the perfect, no-clutter, solution for any room in the house. Available in a wide selection of fabrics, including PVC for bathroom windows and blackout blinds to guarantee you the best night’s sleep, our varied range of made to measure roller blind designs can fit almost any window. 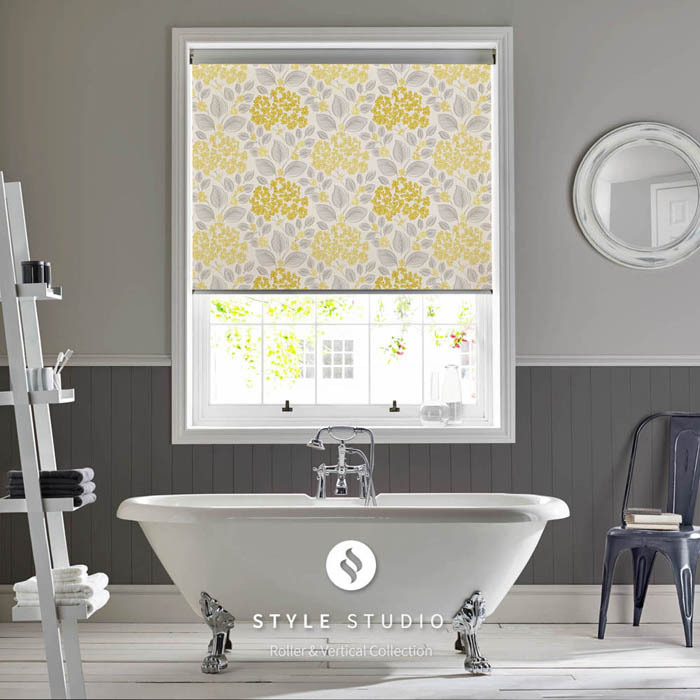 Our made to measure roller blinds in Peterborough are available in a number of different bottom finishes from straight to various designs of scallops. High quality, multi purpose roller blinds to fit almost all windows. 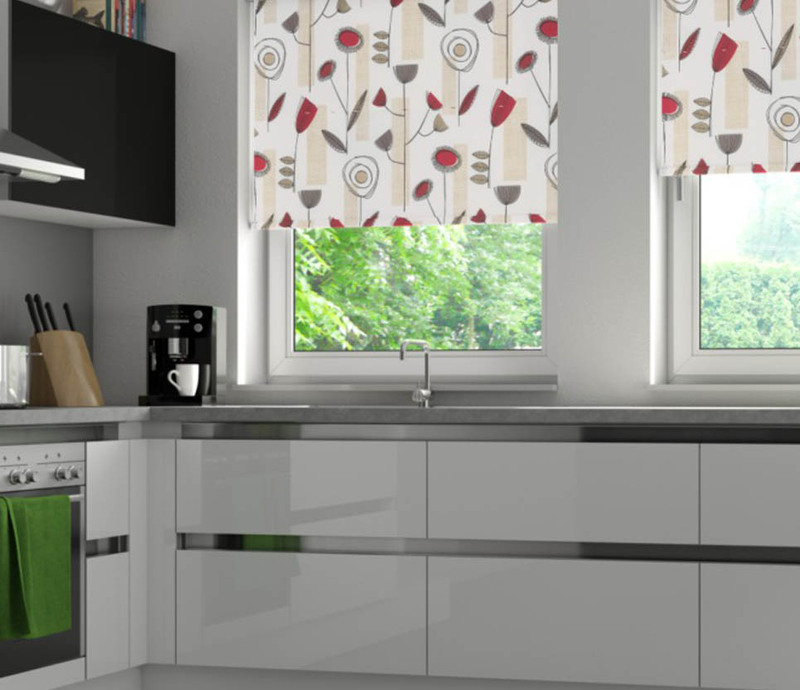 Roller blinds are perfect for the kitchen & available in washable PVC fabrics. Roller blinds continue to offer the most practical style of window blinds and will add extra dimensions to any room. Adding a bottom finish with scallops or poles in a number of different styles will enhance any window. This simple design can fit snugly in almost any space. A low maintenance blind option for your home, roller blinds are available in plain and pattered fabrics as well as washable PVC, ideal for kitchens and bathrooms. Once rolled up, our roller blinds take up a minimum of space while allowing the most amount of light into your home. All our roller blinds are also fitted with child safety controls for extra peace of mind. Our local family run business has over 20 years experience, providing Peterborough and surrounding areas with the best roller blinds and a customer service you can count on. Come and visit our Whittlesey showroom today to see our fantastic range of products and get inspired. We also offer a full fitting and hanging service with all our products, allowing us to take care of you throughout each stage of your journey, from designing or choosing your blinds to the final installation. Choose the perfect material for your Roller blinds. Get the ideal look for your home or commercial property, without breaking the bank. Offering affordable made to measure roller blinds in Peterborough and surrounding areas. We have an extensive range of roller blinds in Peterborough that come in different styles, sizes, colours, patterns and much more to perfectly fit in any room of your home! Made to measure Roller blinds are arguably the most popularly used and well-known type of blind, making for a traditional and classic look for any window in your home. That’s why here at Blinds in Harmony, we have a vast variety of roller blinds in Peterborough for you to choose from. There’s no wonder why roller blinds are so popular and admired, as their flexibility is unmatched compared to other types of blinds, along with their versatility they are also incredibly stylish. Roller blinds make for a perfect addition to your home sweet home. Roller blinds work perfectly either on their own or can make for a beautiful sight to be fitted behind curtains. Our selection of blackout roller blinds is also perfect for those looking for more privacy – making it a perfect addition to your bathroom. These types of blinds are also flawless for entirely removing any unwelcome sunlight from seeping into your rooms, especially all throughout the summertime where the sun rises early and interrupts your sleep. Whatever your situation may be, we’ll ensure we will fit our made to measure roller blinds in Peterborough in a fast manner and suit in well with the rest of the interior of your home. 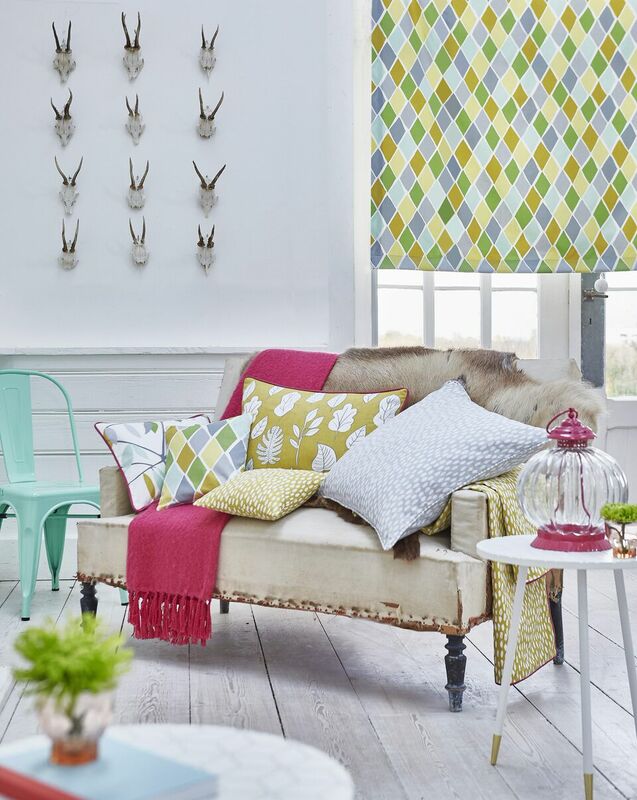 So why not give us a call today to discuss our massive selection of gorgeous roller blinds that come in all sorts of styles, colours and sizes. Whether you desire a neutral environment or something more lively and vibrant, call the experts here at Blinds in Harmony on 0800 0282942 or visit our contact us page.